The goal of the Illinois Victim Assistance Academy (IVAA) is to forge a statewide commitment to helping victims of crime rebuild their lives by delivering comprehensive training to victim assistance providers and allied professionals in Illinois. The IVAA is an intensive course of study in victimology, victims' rights and services, and issues specific to working with victims of crime in Illinois. The IVAA is designed to improve the quality and consistency of victim services in Illinois. Through education, the IVAA builds the capacity of providers and law enforcement to serve those victimized by crime and encourages cutting-edge thinking about the ways we can help victims regain control of their lives. victims to know there are options out there." "This experience gives me a reason to continue in this field." "It will strengthen my abilities as a professional." The IVAA consists of 16 hours of instruction online and 24 hours in a classroom setting. The 3-day (24-hour) in-person training will be held in Bloomington-Normal, Illinois. Any victim assistance provider with 2 to 5 years of experience in the field is encouraged to apply. Form partnerships and encourage new initiatives to better serve crime victims throughout Illinois. Completion of the IVAA curriculum has been pre-approved as an "A" series training for persons seeking credentials from the National Advocate Credentialing Program (NACP). We encourage victim service providers, law enforcement professionals, social service providers, and community-based victim service advocates to attend the IVAA. 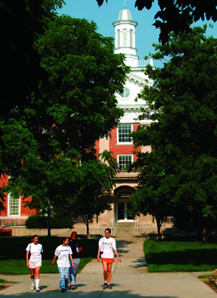 In 1995, the Office for Victims of Crime (OVC) funded the first National Victim Assistance Academy (NVAA) coordinated by the Victims' Assistance Legal Organization (VALOR) and a consortium of universities. This first academy was established in response to the need for a comprehensive, basic-level victim assistance curriculum to enhance the professional efforts of victim service providers and allied professionals. 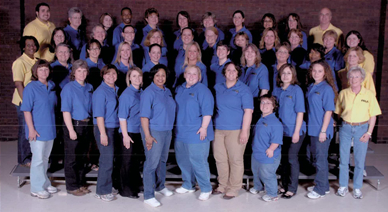 In 1998, the OVC established the State Victim Assistance Academy (SVAA) model to fulfill its goal of encouraging victim assistance courses of study throughout the country. To date, Illinois and 31 other states, Washington, D.C., and Puerto Rico are working on the establishment and institutionalization of State Victim Assistance Academies.